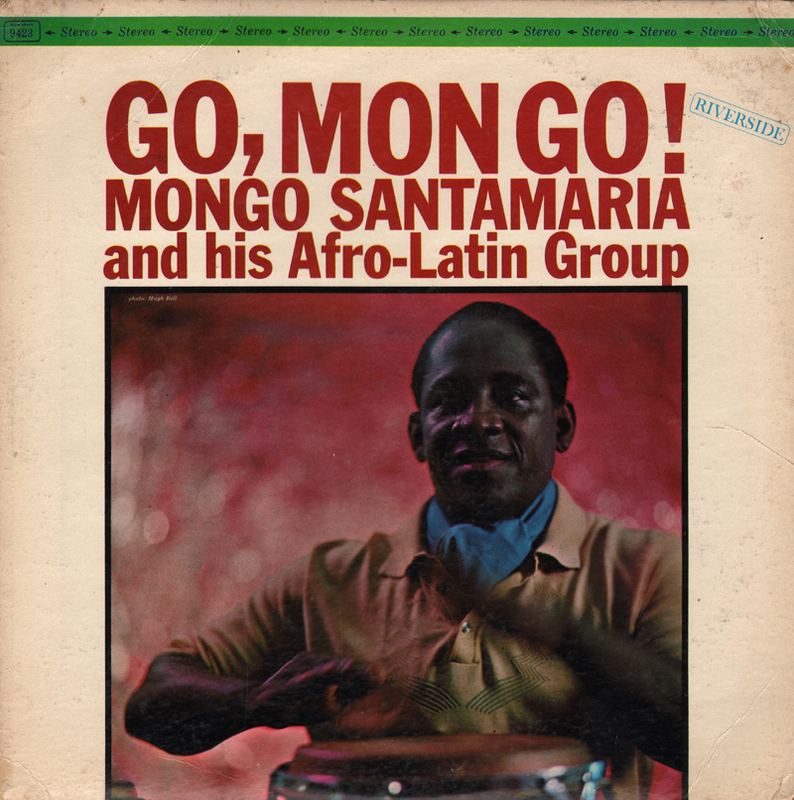 Mongo Santamaria, Conga Drums (also bongos on Carmela and Chombolero); Paul Serrano, Trumpet; Pat Patrick, Saxophones and flute; Al Abreu, Tenor Sax and Flute; Armando Corea, Piano; Jose De Paulo, Guitar; Victor Venegas, Bass; Julio Collazo, Timbales; To-Tiko and Jose De Paulo, Latin Percussion. 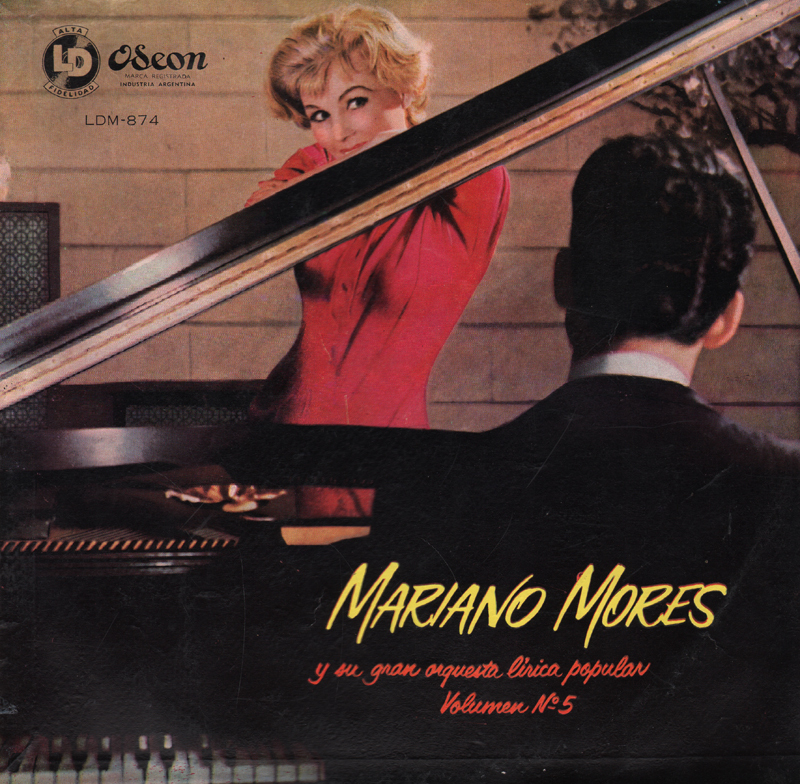 Vocals on Tumba Le Le by Carmen Costa and Chorus; on Country Song by Marcellino Guerra and Elliot Romero; on Hombre by Guerra and chorus. From the back cover: The material here (much of it written by Mongo himself) reflects the musical qualities and influences of several different countries, although most of the numbers build from an underlying base that is essentially African. These selections feature added voices. 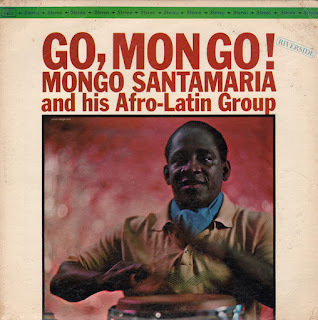 From Billboard - November 3, 1962: This new album shows off some fine percussion work by Mongo Santamaria, who plays both conga drums and bongo on this swinging collection of Afro-Latin works. Most of the tunes in the set were penned by Santamaria and they reflect music of Brazil, Haiti and Cuba. The most exciting side is the wild samba "Tumba Le Le," and the prettiest is the Cuban tune "Country Song." Striking work here by the drummer. Well executed live jazz flavored lounge set from an obscure artist. 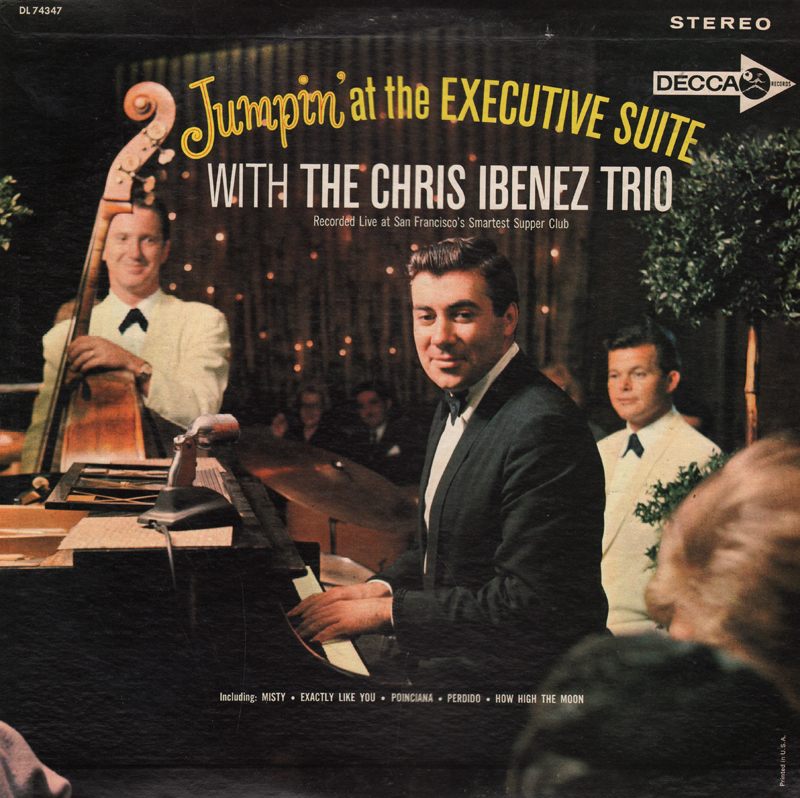 Ibanez wrote one track on the LP, the sample tune above titled This Is Bordeaux. Chris, who to this day refuses to read music, lost his first piano teacher for that very reason. He trained himself by first imitating, ultimately surpassing, the variety of jazz sounds available to him on radio and recordings. By the time he reached his teens, he was performing professionally at jazz clubs in and around his native Bordeaux. Making the San Francisco jazz scene via French radio, night clubs, recordings, and motion pictures, Chris later appeared at Las Vegas' Desert Inn and Flamingo, then Lake Tahoe's Nevada Lodge and Wagon Wheel. He returned to San Francisco for the opening of Dave Young's Executive Suite – a "limited" engagement that has to date lasted three years, and if the 'Suite' audiences have their way, will last forever. He is a movie actor. 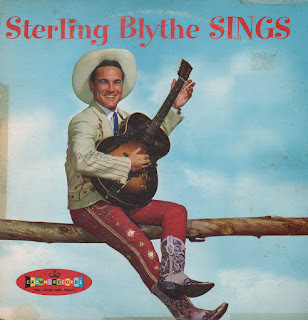 He has been featured in "Battle Hymn," "Navy Blue," "Battle of the Bottle," "Walk the Proud Land," and 18 Gene Autry flicks. Over the TV tube, his starring-stints were with Gary Moore and Red Foley. His country comes first. He interrupted a flourishing career to serve in the United States Navy from 1941 to 1945. He is a fast-draw artist. He is considered one of the top pros in the country and western songwriting field. Eddie Arnold and Red Foley are his biggest boosters. 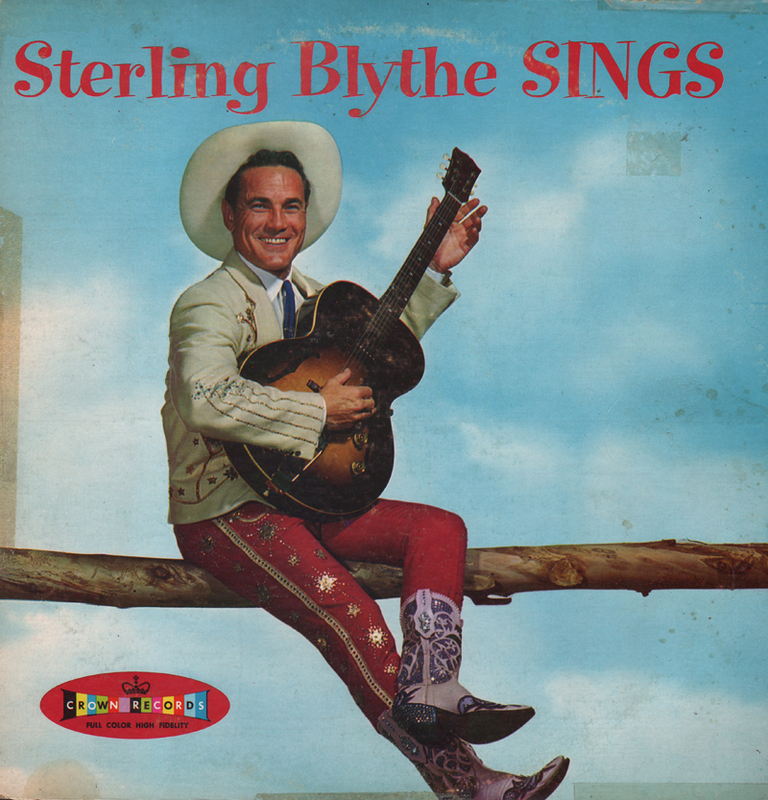 Some of their hottest-hits were penned by Blythe. He is arranger, orchestrator, conductor, and m.c. 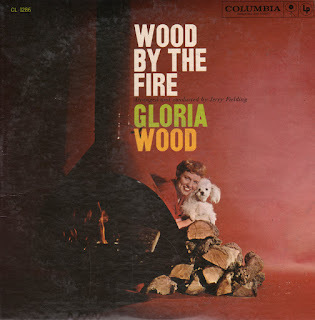 Fielding finely tuned his excellent arrangements to Wood's vocal style as did Columbia's engineering staff. This is one well thought out set. From Billboard - March 23, 1959: The steamy-voiced canary serves up a batch of memorable standards in a rich, warmly romantic style. Spinable jockey wax. 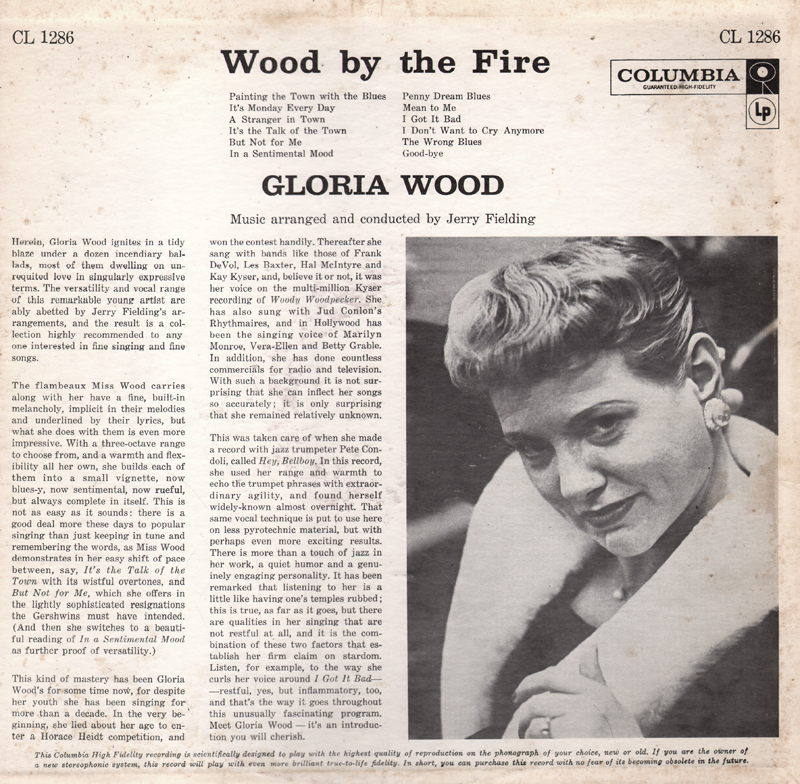 From the back cover: This kind of mastery has been Gloria Wood's for some time now, for despite her youth she has been swinging for more than a decade. In the very beginning, she lied about her age to enter a Horace Heidt competition, and won the contest handily. 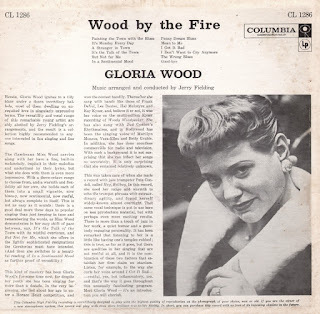 Thereafter she sang with bands like those of Frank DeVol, Lex Baxter, Hal McIntyre and Kay Kyser, and, believe it or not, it was her voice on the multi-million Kyser recording of Woody Woodpecker. She has also sung with Jud Conlon's Rhythmaries, and in Hollywood has been the singing voice of Marilyn Monroe, Vera-Ellen and Betty Grable. In addition, she has done countless commercials for radio and television. With such a background it is not surprising that she can inflect her songs so accurately; it is only surprising that she remained relatively unknown. Although the disc kicks off with the driving tune "Downbeat", written by Brown and McCoy, the majority of the set delievers more of a sweet, slow funky groove. Good stuff. 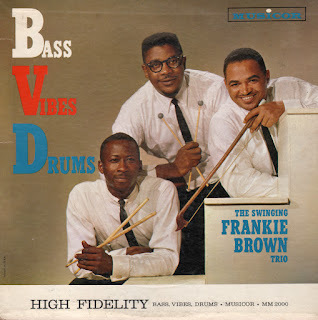 From Billboard - May 15, 1961: A neatly paced debut set for drummer Frankie Brown who is teamed neatly with basset Marty Rivera and Fred McCoy on vibes. It's a good combine with the vibes carrying the melodies but sharing them occasionally with a bowed bass. Each man gets his chance to shine on the varied tempos. Good for background jazz and some tracks are danceable, too. 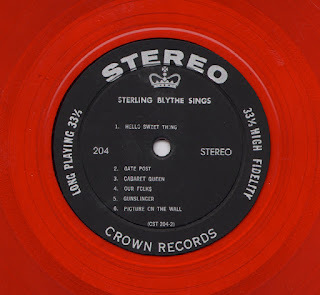 From Billboard - March 24, 1956: Here's one of the most stylish vocal sets to come on the package scene. The Schumann voices have turned out good things aplenty before this and the current offering is right up to par. 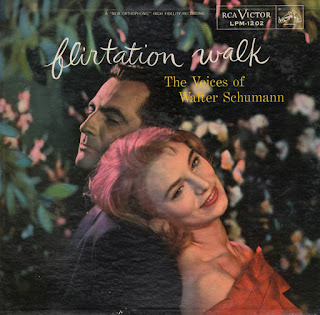 Here's the story of courtship "Flirtation Walk" thru the honeymoon "Small Hotel" and down life's highway "Love Old Sweet Song" with the wonderful blend of the 32-voice mixed chorus and some fresh and exciting work sounds showcased. An attractive cover will help move copies as will the numerous jockey plays that are bound to result. From the back cover: Walter Schumann, who, as you can well imagine, is a very nifty guy, slipped into the music business through a side door. While working his way through the University of Southern California Law School, he organized a dance band. He first entered choral work when a small radio station couldn't afford to pay the musicians scale, and so the band sang. 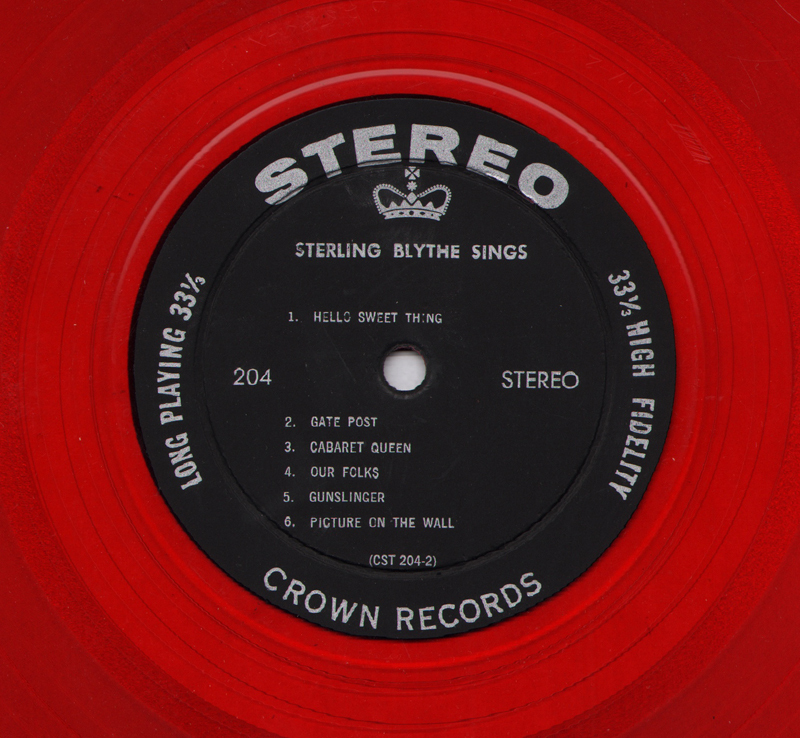 Organized in 1948, while Walt was working as musical director at RKO Pictures, The Voices were a professional group singing at first for pleasure. In their years under Schumann's expert leadership, The Voices have achieved a versatility and a blend that are remarkable. What's more, theirs is an individual style and a marvelous warmth.